Having been thrown into the political dustbins for some time, former Zanu PF Masvingo provincial political commissar, Jeppy Jaboon and senior party member Kudakwashe Bhasikiti have bounced back as MDC Alliance parliamentary candidates. Jaboon, who met his waterloo in Zanu PF after the November 2017 military coup which decimated his G40 faction, is now the National Patriotic Fronte (NPF) national political commissar. 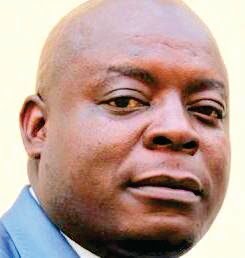 He will contest under the MDC Alliance banner in Bikita South and will battle it out with Johnson Madhuku of Zanu PF. Bhasikiti has thrown his whole weight behind Chamisa and has used his oratory gift to endorse the MDC Alliance presidential candidate. He has been rewarded by being made the alliance's Mwenezi East parliamentary candidate and will tussle it out against Zanu PF's Joosbi Omar. Speaking on the side lines of a press conference organised by MDC-T at the party's provincial headquarters on Wednesday, national executive member Takanayi Mureyi said they were roping in everyone who had support from the people. "The ultimate goal is to remove Zanu PF and we are sharing constituencies with other parties who have strong people on the ground. "Mwenezi East and Bikita South will go to Bhasikiti and Jaboon respectively. These people have support on the ground and negotiations are still taking place. They have been kicked out of Zanu PF and it means we are all now fighting for the same cause. "As the Alliance, we are distributing seats depending on popularity and the most popular in any constituency will field a candidate. Some constituencies in Masvingo are still being negotiated with our Alliance partners," said Mureyi.